Mindy Lighthipe – Botanical Artist | Paint. Draw. Blend. Mindy Lighthipe is a botanical artist based in Florida. She uses PanPastel in combination with watercolor and other media. Her drawings and paintings are in many private, public and corporate collections, including the Florida Museum of Natural History, the Denver Museum of Natural History, and the New York Botanical Garden Gallery in the Bronx. In 2009, she was awarded a silver medal at the London Orchid Show at the Royal Horticultural Society. 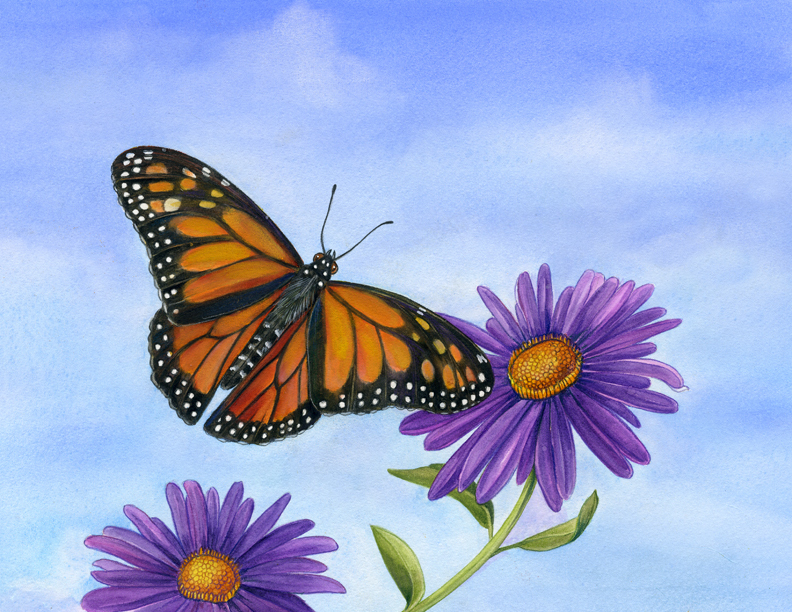 Mindy wrote and illustrated “Mother Monarch”, a children’s book about the butterfly life cycle. What are your first memories of creating art? As long as I can remember I wanted to be an artist. I have a simple collage, crayon drawing that I gave to my grandmother when I was 2 years old. She framed it and now that she is gone I have it. That was 48 years ago. When did you become a full-time artist? I became a full-time artist right out of college. I studied textile design and was trained as a handweaver. I went to work in New York City as a production handweaver doing freelance wok for a designer. I studied textile design and changed art careers in 1990 when I went back to school to take get a certification in Botanical Art & Illustration from the New York Botanical Gardens. 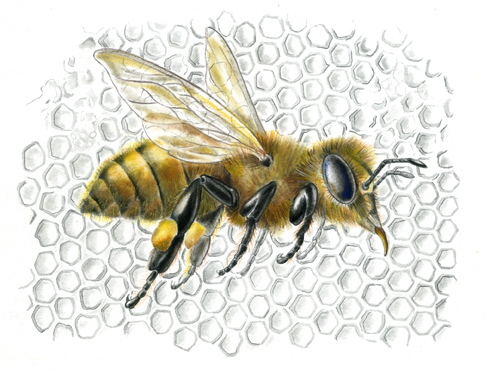 I currently work as an artist and illustrator depicting the natural world. 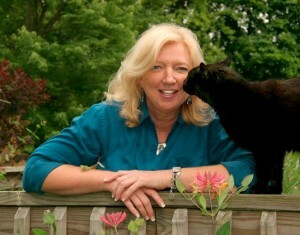 I specialize in insects and plants but also love to anything that jumps, leaps or flies. I like to work from life. I often grow the plants I paint, rear and collect the insects and travel to places where I can draw and paint on site. I am not a plein aire painter. I collect, and research my subjects, take photos and work over a period of time to show the entire life cycle in one painting. 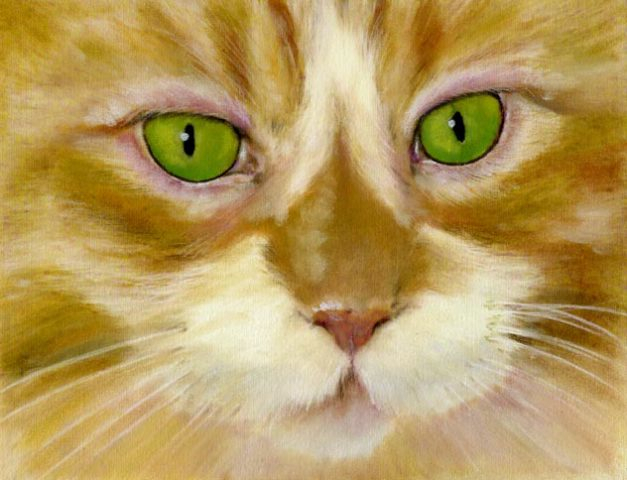 When did you first begin using PanPastel Colors? 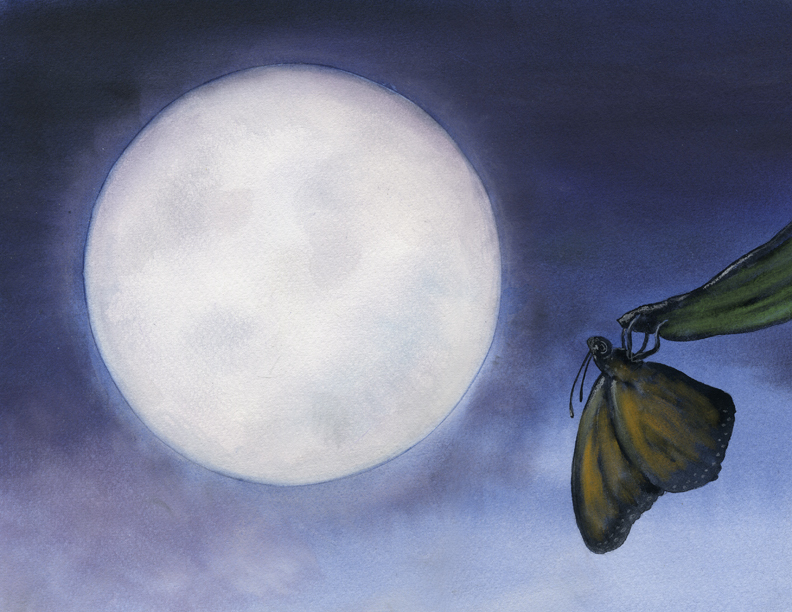 In 2010 I published my first children’s book, “Mother Monarch”. 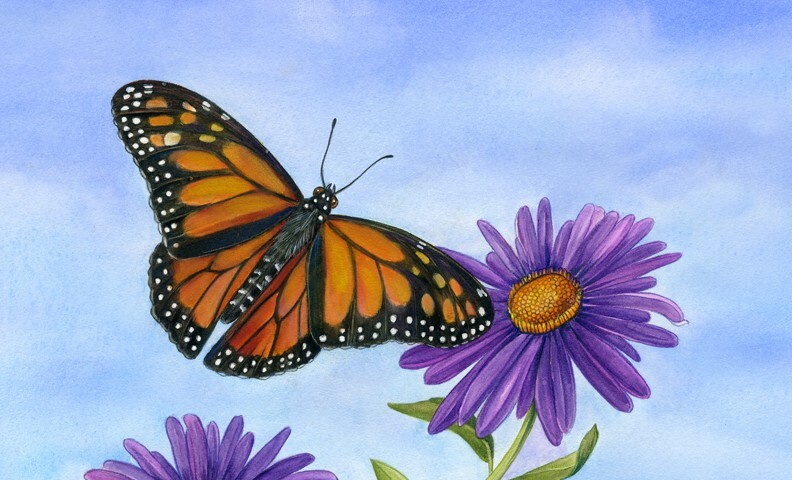 I had planned on doing the entire book in watercolor when I discovered that if I layered PanPastels over the watercolor I could achieve velvety smooth butterfly wings, soft puffy clouds and vibrant colors in a flash. How do you incorporate PanPastel colors in your work? I work in watercolor first and let the paper dry. I then add the PanPastel using the Sofft Tools over the watercolor. It is very rewarding and very fast. I have also started to use PanPastel in conjunction with Silverpoint. 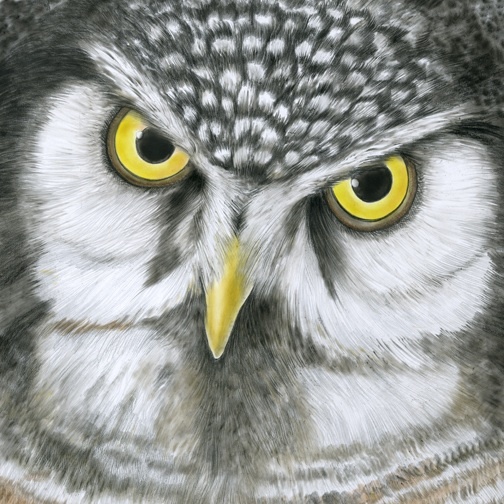 I use the small applicators to create feather like strokes and have gotten some nice texture in my owl paintings. Are you doing things creatively with PanPastel that you were not doing before? I have always admired pastels, but did not like all the dust. It seemed like there was always more dust on the floor and surrounding area than on the paper. I also did not like the fact the dust went airborne and posses a potential health hazard. PanPastel Colors have allowed me to experiment with the medium without so much waste or mess. What do you see as the main benefits of using PanPastel in your work? I love the COLOR. I also like the fact that they can easily be erased if I change my my mind. Mother Nature – My favorite Artist. Nobody does it better than she does. What excites you most about your life as an artist? There is an endless world out there to discover. I love to travel and see things I have never seen before. I love the fact that I get to discover and then paint what I have experienced. What’s the most valuable lesson you have learned in your journey as an artist? Being an artist has its ups and downs financially but I have learned to respect the world around me. Experiencing different cultures, different points of view and mostly the awesome power of nature is a path well traveled. I am interested in exposing my art to the public so that they can experience the same wonder and I awe that I have. Our planet is fragile and I hope to educate people to look into their own back yards and see the tiny world that goes on while they are at work, play or asleep. Hopefully it will enlighten people to be stewards of the planet. Any upcoming events, workshops, shows, book launches, projects you’d like to tell us about?